Starting in February of this year, popular Japanese rock band Dir En Grey was featured in some of the promotional material for Resident Evil Revelations 2. 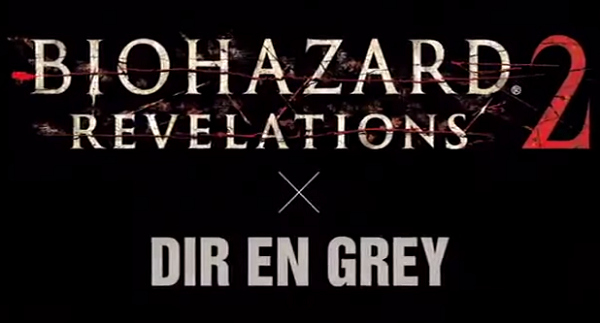 After months of the advertising campaign, Dir En Grey has finally released the full video featuring the game and band. The union of my favorite band and Resident Evil is something I would have never expected, but they seem like the perfect fit. With Dir En Grey’s gruesome music video history and given the dark nature of Resident Evil, it’s surprising it took so long for the two to find each other. The song, Revelation of Mankind, can be found on the band’s latest album, Arche. Resident Evil Revelations 2 is out now for PlayStation 3, PlayStation 4, Xbox 360, Xbox One, and PC.